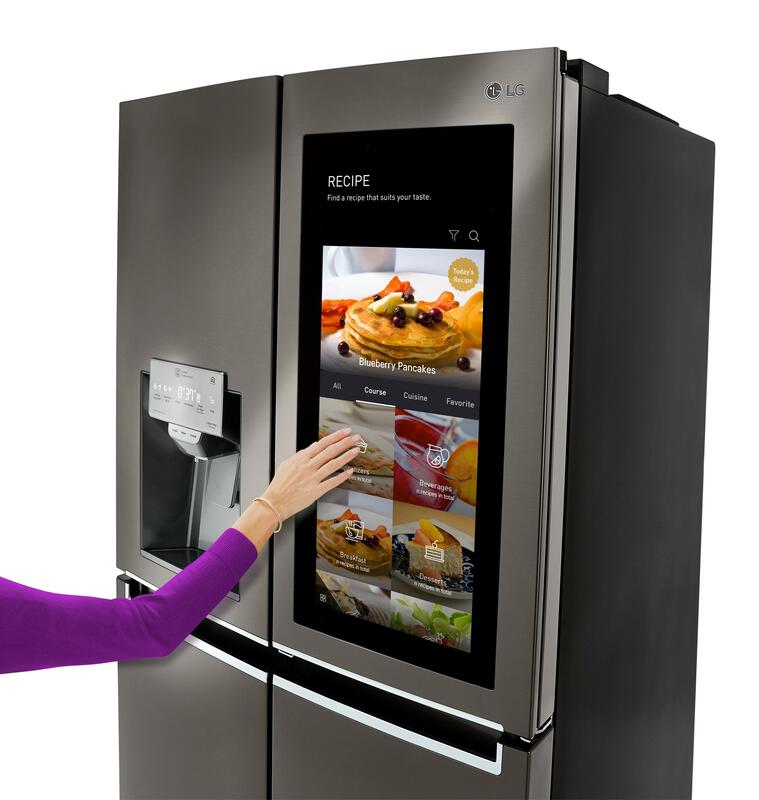 * Seeking the smartest refrigerator on the market? The Wi-Fi-enabled LG ThinQ InstaView is the first to offer built-in Amazon Alexa that responds to your spoken directions by creating to-do lists and grocery lists, ordering the groceries themselves, controlling your refrigerator settings, playing the music of your choice and otherwise stepping up to make your life easier. A convenient touchscreen panel lets you instantaneously peruse the weather, recipes, shopping sites or the contents of your fridge – without losing energy by opening the door. This entry was posted in Real Estate on January 19, 2018 by Mike.